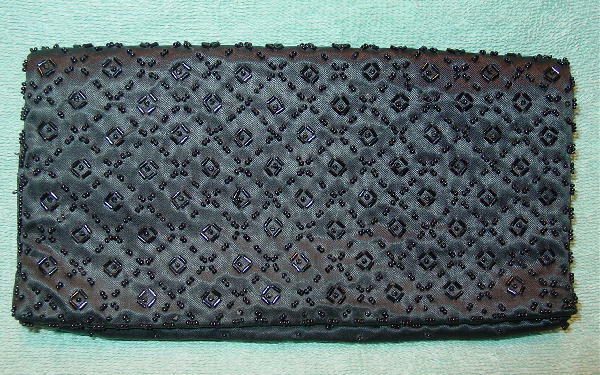 This black vintage clutch is by Silvercraft and was handmade in the British Crown Colony of Hong Kong in the late 1960s or early 1970s. The black background feels like silk and the black interior lining feels like a silk-satin blend. 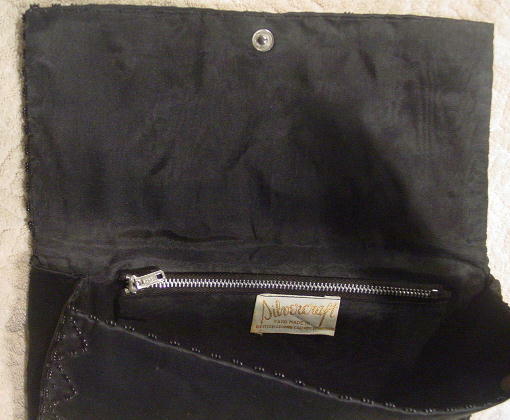 It has an interior zippered back pocket. 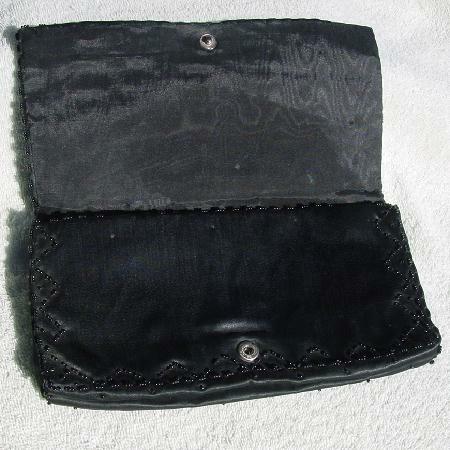 There is a one-snap closure beneath the front flap. 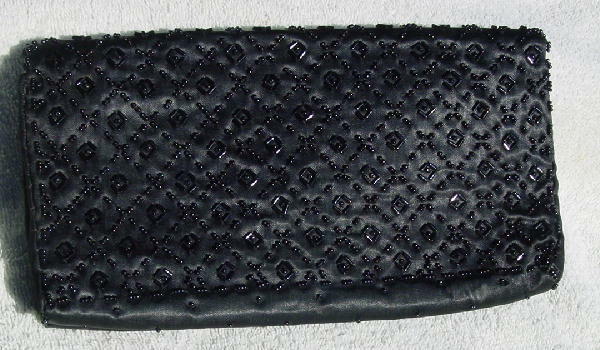 The front and back have a diamond pattern outlined in a broken line pattern of tiny black beads with an inner square design in elongated black beads. The bottom has a sporadic black bead pattern.